Thank you for submitting your item for appraisal. This appears to be a first half 20th century walnut ladderback carver armchair with with rush woven seat. Such chairs are being offered at auction on a regulary basis. 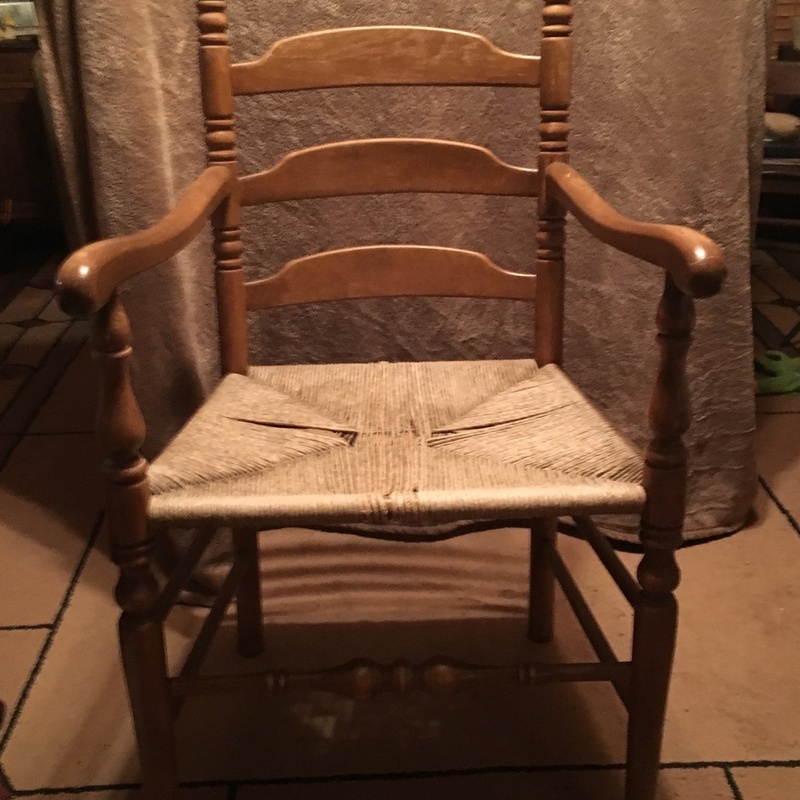 The estimate is based on similar chairs sold at well advertised auctions. These chairs are built to last and were manufactured by countless carpenters and manufacturers. There is no measurement for the sentimental value you might attach to the item. In any way it would have been a very good investment.